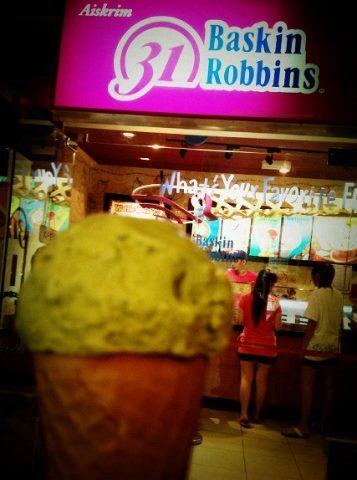 MSXEROZ:::Stories of My Life:::: Baskin-Robbins Free Ice Cream For Malaysians! WOOOHOOOO! The poster says it all. The PASSION, SUPPORT, and OVERWHELMING UNITY towards our sports hero was a moment to remember. During the Badminton Men Finals, Media Prima broadcast an advertisement that says, FREE Baskin-Robbins ice cream for everyone if Lee Chong Wei brings home a GOLD. 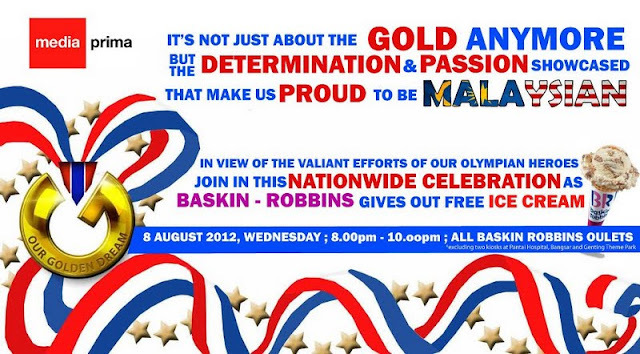 We all realized the power of being UNITED for one dream actually worth more than any Gold in the world, and that is why Media Prima, Impian Emas Negara and Baskin-Robbin Malaysia decides to give the FREE ICE CREAMS anyway! Ahmad Izham Omar giving out Free Ice Cream! 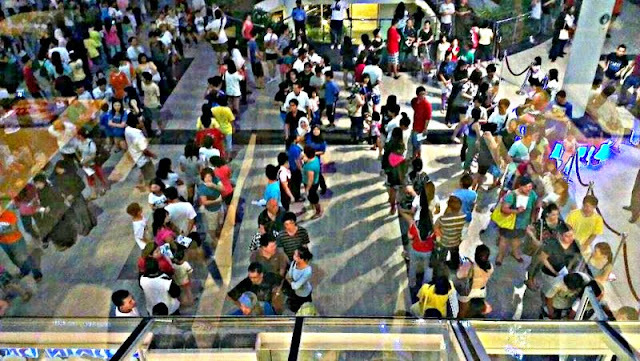 Hahaha..I didn't queue up for the ice-creams though. I can't bear to queue. I'd get my FREE ice creams (double scoop) from bf *EXTORTION* soon! Have a nice Baskin-Robbin day folks! tomorrow it will be in the news!